The local commissary on Patrick Air Force Base is likely where you regularly shop when you need groceries if you reside on base or are a military family that resides near the base, right? But, did you know that, if you sign up for a free membership on MyMilitarySavings.com, then you’ll gain access to coupons and deals on your favorite brands that can be used at the local commissary and exchange? MyMilitarySavings.com is an online community that is dedicated to helping military members and their families make the most out of their shopping experiences at their local commissary and exchange stores. Moreover, when you register on MyMilitarySavings.com, you’ll receive more than just savings on groceries and other household items. You’ll also gain access to specific Patrick AFB community, events and activities. Using the My Home Base feature, you’ll be able to customize your landing page to show relevant and useful information regarding the latest happenings on your base. You’ll also instantly be able to check the hours for the commissary and exchange. So, why wait to start receiving savings on the brands you already know, love, and purchase at the commissary on Patrick AFB? 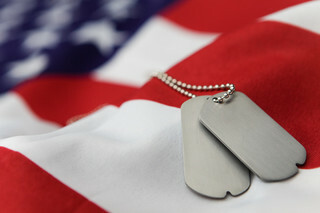 Sign up for your free membership at MyMilitarySavings.com today.